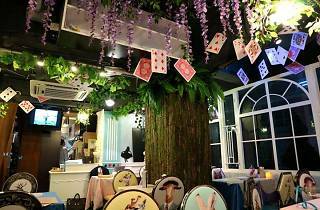 Alice in Wonderland-themed café in Mong Kok. 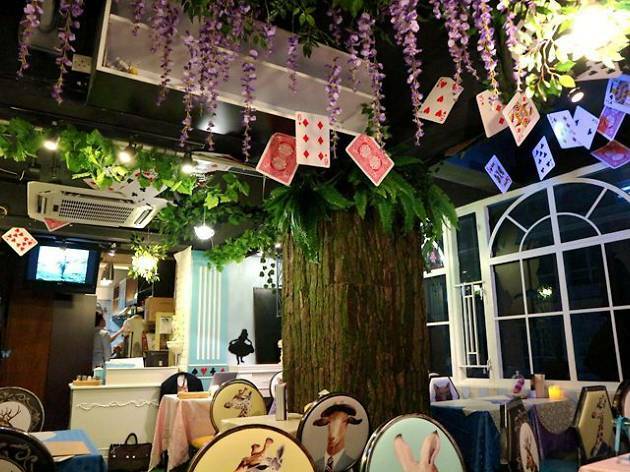 Hop down the rabbit hole and discover the wonders of the Alice in Wonderland-themed café. Wonder Garden café hits all the criteria for an Alice-themed restaurant needs: grassy walls, playing card décor, clock pattern china and colourful concoction served in glass jars with a ‘drink me’ label. The eatery has a good selection of pasta and risotto, but the afternoon tea sets are the highlight with its Instagrammable sweet treats and quirky heart-motif cups.